We have always wondered at the people bearing birthmarks. They are in the form of benign irregularity on the skin, which usually appears on the body of the infant on birth. We are aware with some kinds of them like a mole or a scar on face and/or arm. However, there are also a few of them that look weird and somewhat scary, which however are not an indication towards a disease or a deformation. 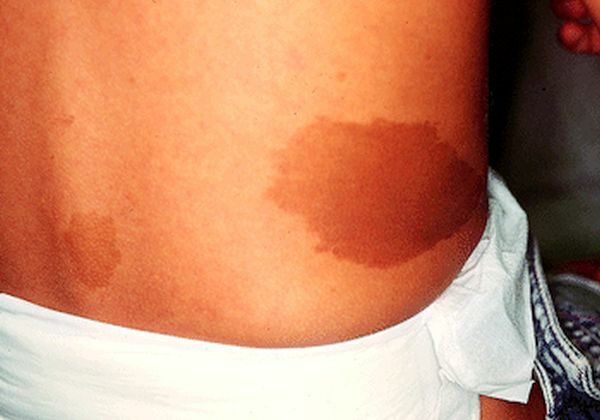 Here are we have some of the more rare birthmarks that people have. Some people are born hair growth on the body. Zhang Hongming from China is typical example of this. 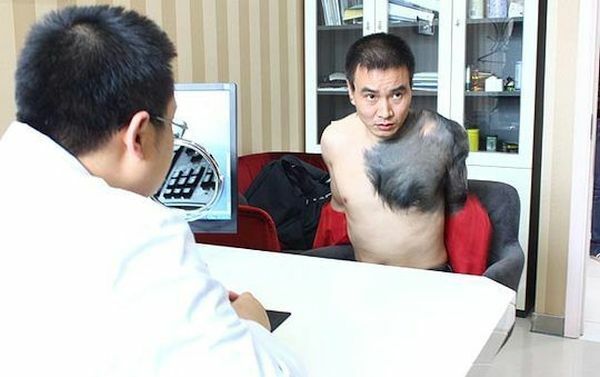 He is also sometimes addressed as the “Werewolf Man” for the sheer hair on his body that his back and chest down to one of his arms. This is a very rare birthmark and some three percent of the children are born with such birthmarks. 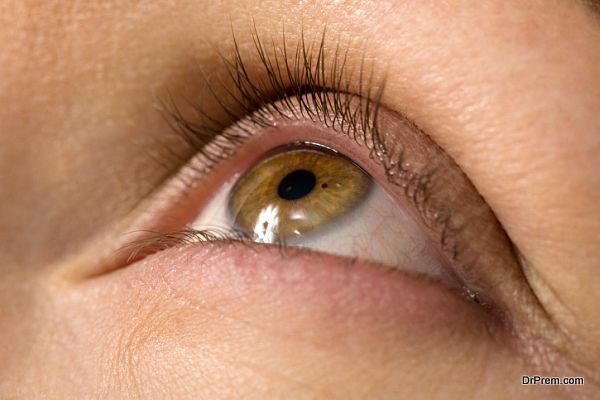 Ever wondered that some people can be born with a mark right on the cornea of their eye? This is Choroidal nevus that appears on the back of the eye. It does not appear usually at birth time but in the period successive to it. It also is not totally harmless and carry slight risk of getting malignant over a period of time, even though the chances are rare. 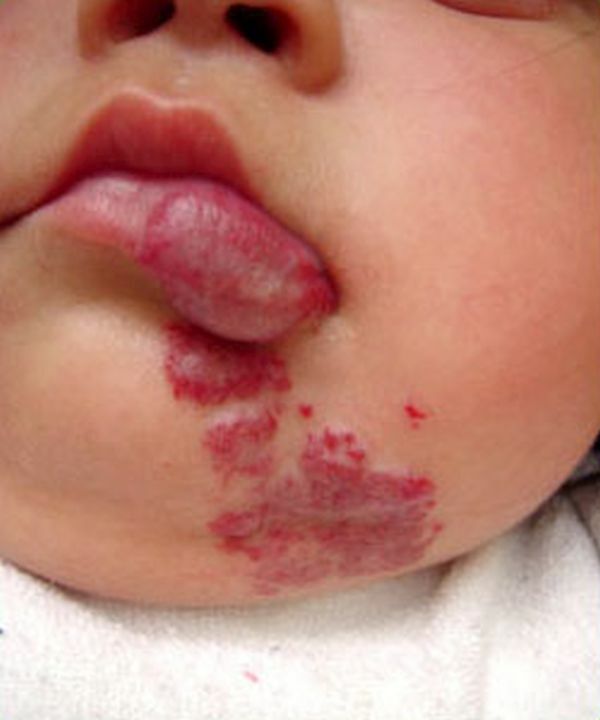 This mark is caused by some sort of malformation in the skin in the born infants. This mark is called so for the reddish colour of these signs. It is categorised as vascular type birthmarks. It is mostly irregular in shape and grows in size and intensity of colour as the body grows with age. 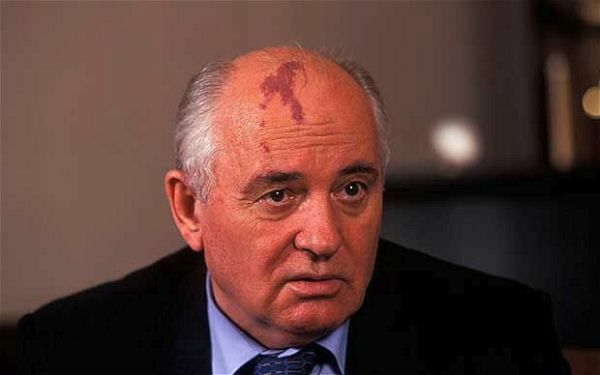 Mikhail Gorbachev is the most popular figure known with this kind of birth sign right on his forehead. It is interesting to know that it resembles Durak Apel archipelago off the Siberian coast in Russia. Mongolian spots or Mongolian Blue spots is named so because they were first diagnosed on a Mongolian. It is pigment related birthmark. This mark appears in the form of large irregular shaped blue-grey, blue-black or even deep brown coloration usually on buttocks ranging up towards the back. It is chiefly prevalent among the Carribean, Oceanians, Turkish, East African and Latin American people. This somewhat scary sounding birthmark appears in the form of a red coloured protrusion on the skin mostly not more than size of a wild strawberry. It usually appears in the first week of life and reaches full growth by the time the child is one year of age, giving some scary fits to the parents. However, the mark by mostly ten years of the child’s age melt down and is leaves no marks except a faint red mark on the skin where it had existed. The terms simply means “coffee for milk” in French indicating the light brown colour of the mark spread out on fair skin. When occurring on dark skin, this spot turns much darker. It may be irregular in shape or more symmetrical. This birth marks too is pigment related and might fade away with time. These are some peculiar birthmarks that people have on their bodies. Many of the people have turned the skin into fancy objects of art by making tattooing all around them to indicate different motifs like living creatures. 1002 Spoons – A remarkable collection!